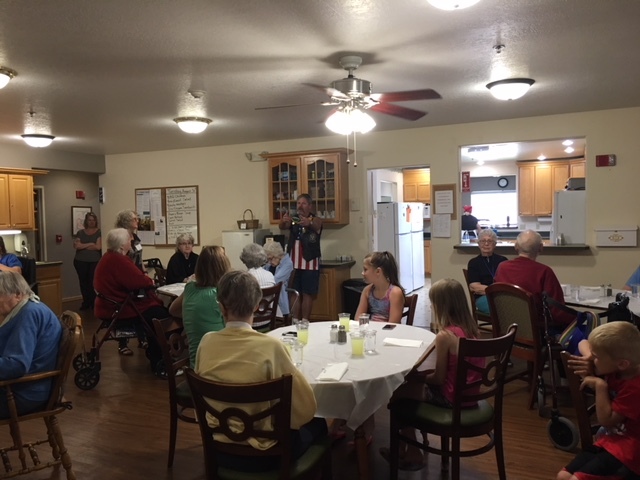 To celebrate National Assisted Living Week, Sandstone Senior Living held our annual Resident Family Picnic on September 26th at the facility. 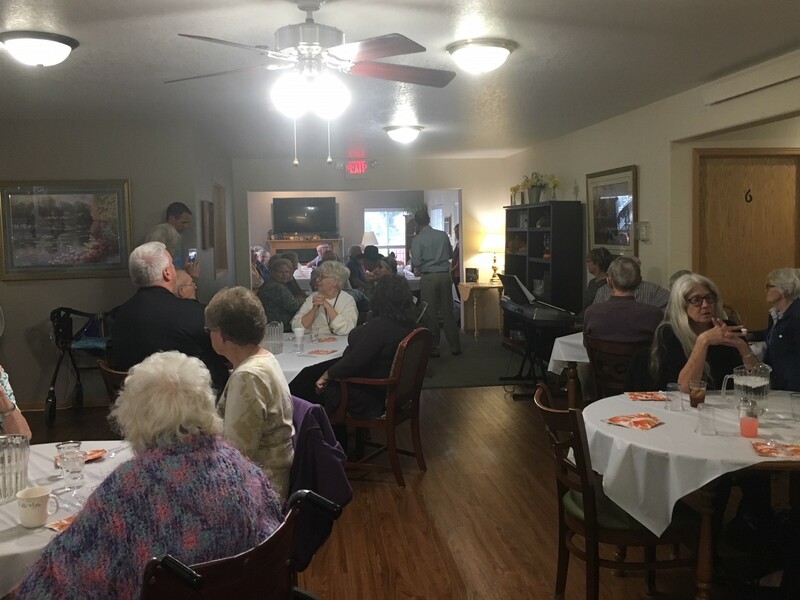 To recognize Sandstone Senior Living’s new membership to the Spearfish Area Chamber of Commerce, the Chamber Ambassadors held a ribbon cutting ceremony at the facility. 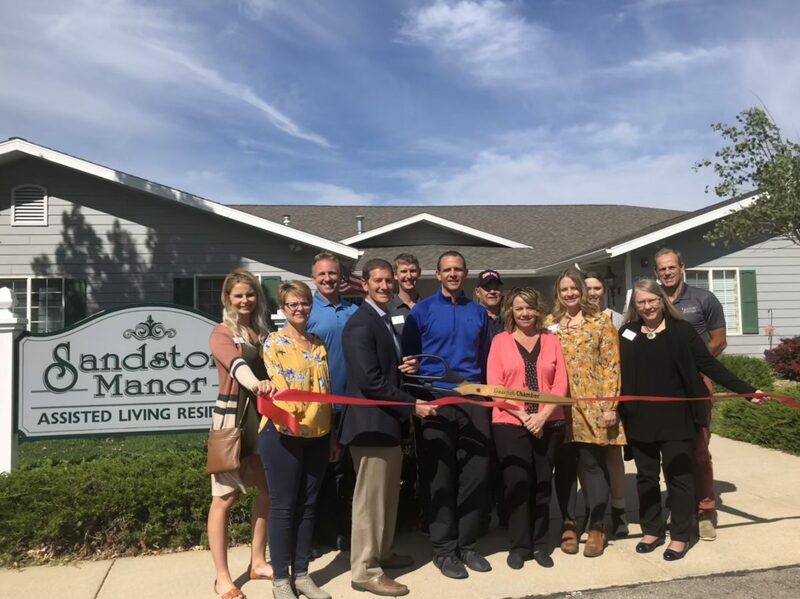 Owners Jeremy Schultes and Dave Donat were in attendance along with Sherry Hanson, Business Manager and Connie Pierce, Administrator. 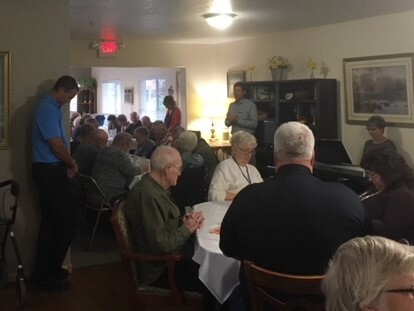 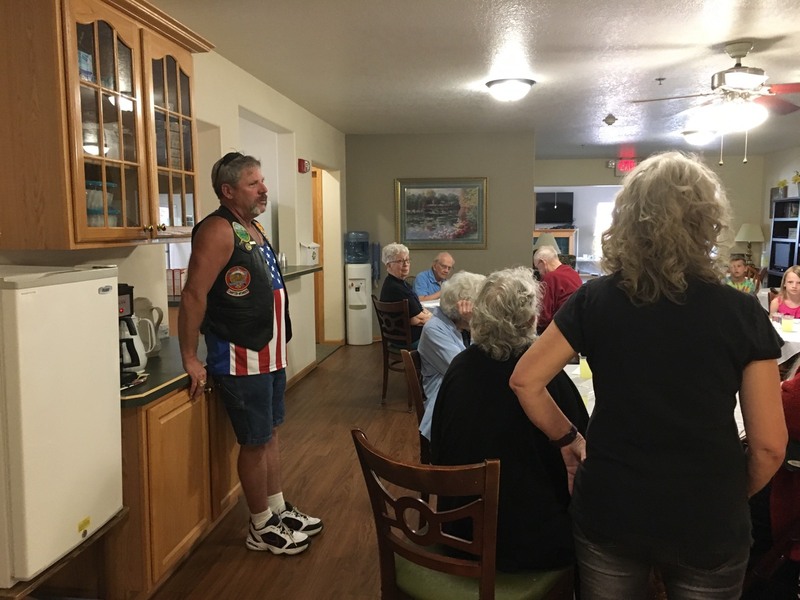 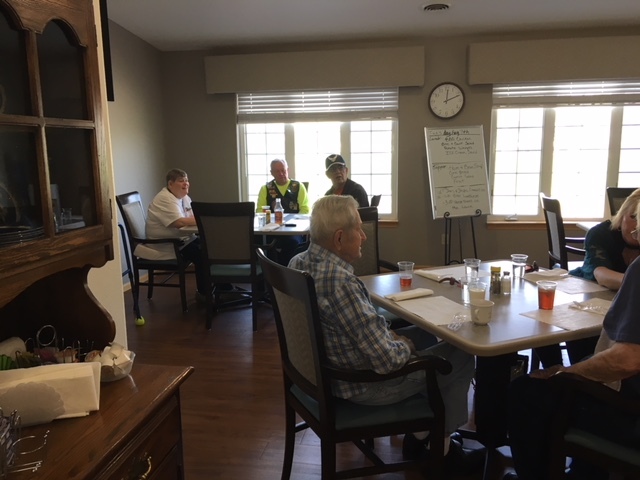 Members of the STAR Touring and Riding Association Chapter 303 joined our residents and staff on August 7 for our annual Biker Luncheon to say thank you for their support. 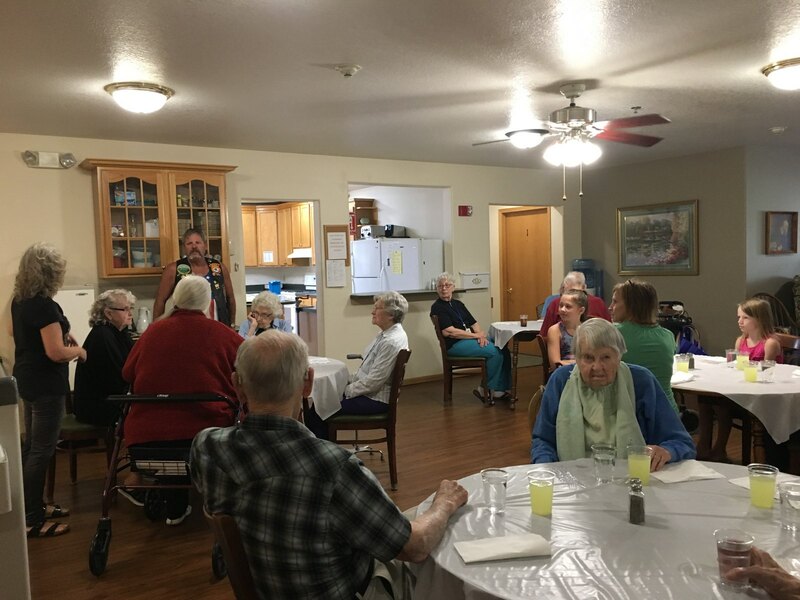 Each year the members of STAR 303 in partnership with businesses and individuals from the Northern Black Hills area raise funds and accept donations for the Forgotten Elderly Program. 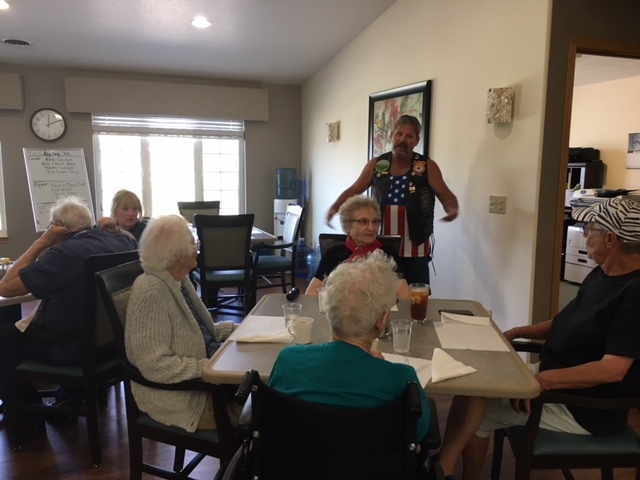 These funds are used to help support the areas forgotten elderly in local assisted living centers throughout the year and also support local veterans. 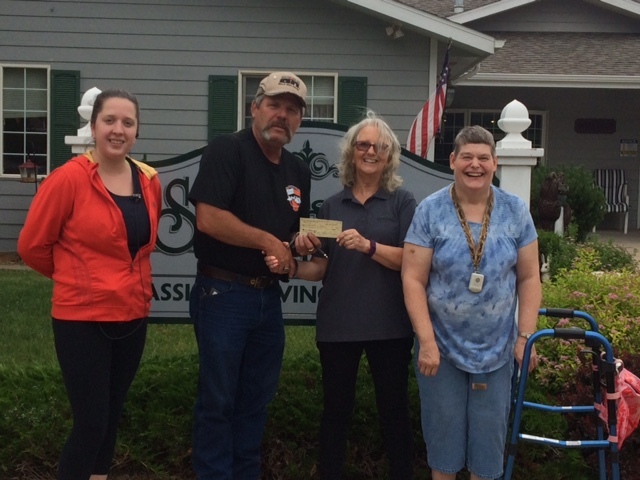 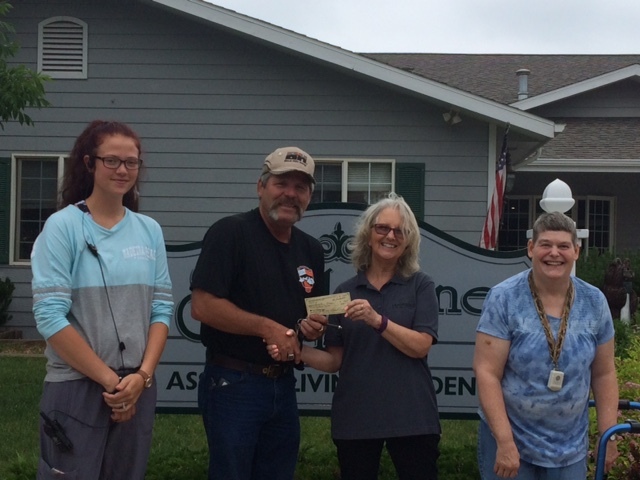 As part of their Forgotten Elderly Program, Vice President Stan James of the STAR Touring and Riding Association Chapter 303 presented Sandstone Senior Living Staff and residents a donation. 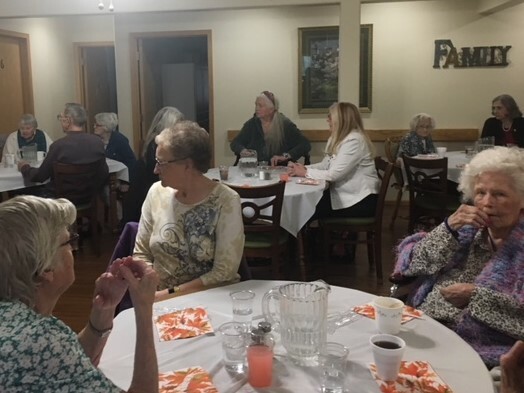 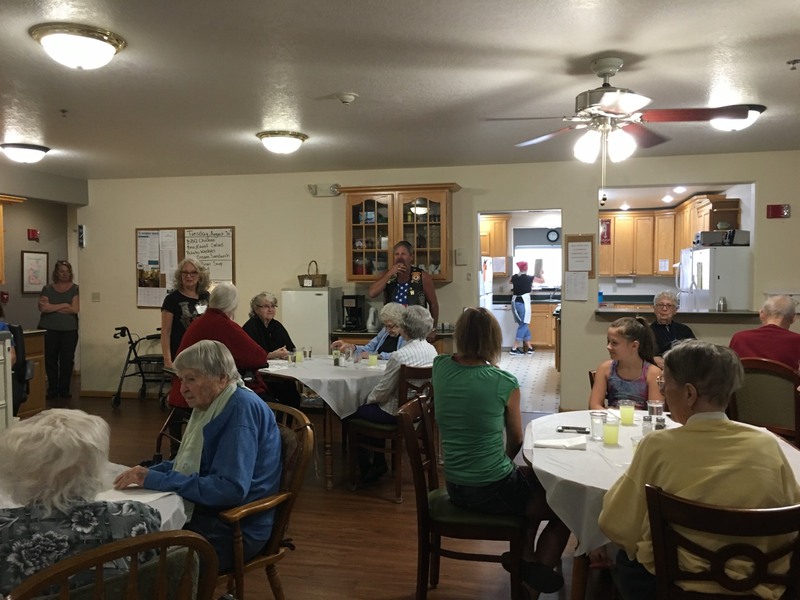 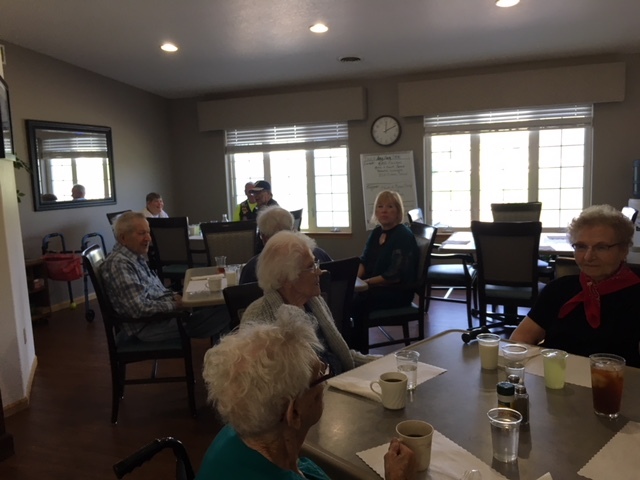 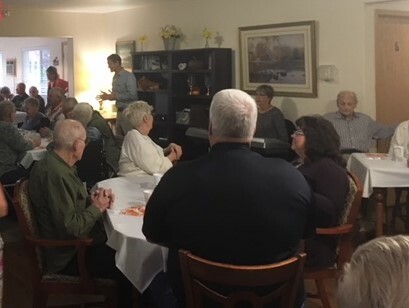 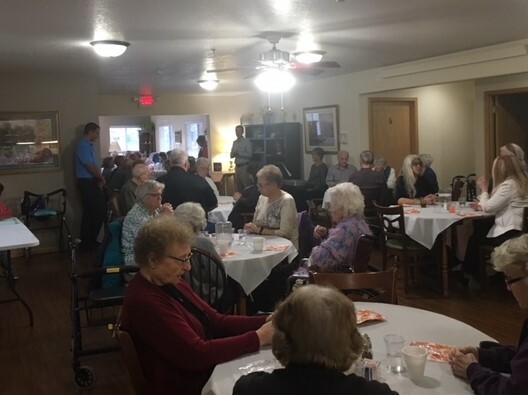 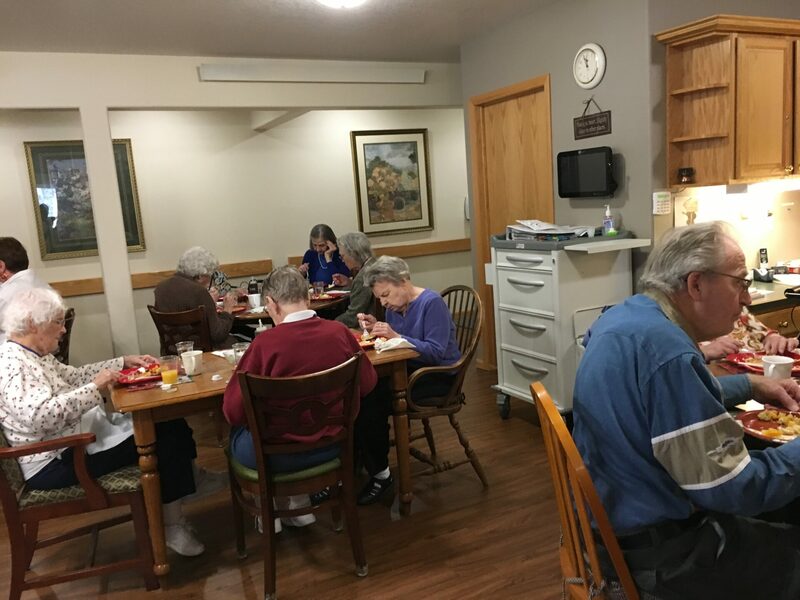 Each year members of STAR 303 in partnership with businesses and individuals from the Northern Black Hills area raise funds and accept donations for the Forgotten Elderly Program. 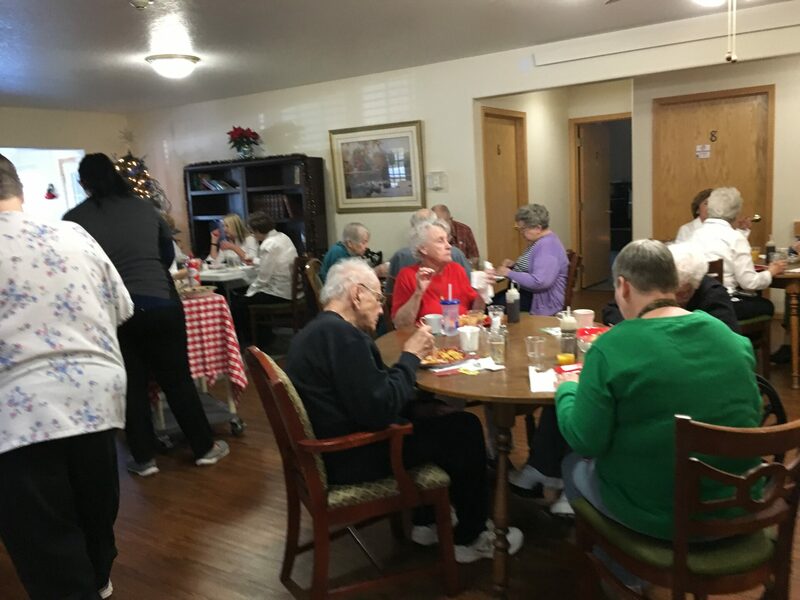 These funds are used to help support the areas forgotten elderly in local assisted living centers throughout the year and also support local veterans. 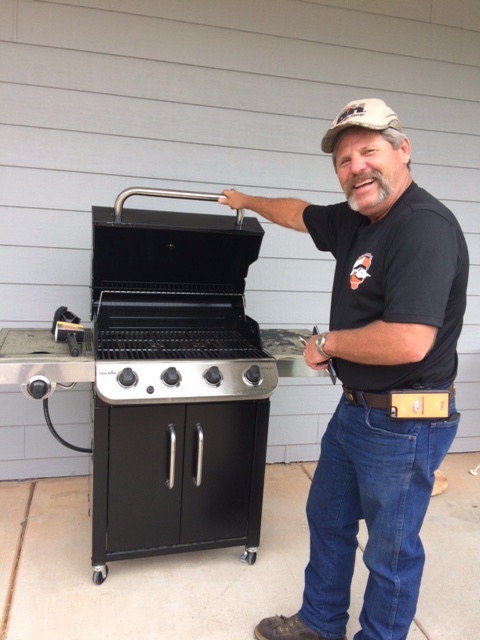 Our facility purchased a new BBQ grill with the 2017 donation. 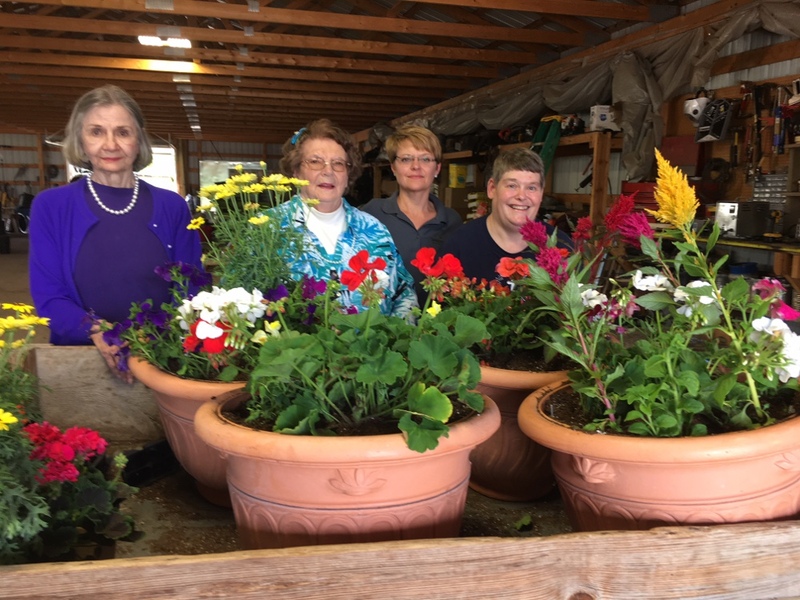 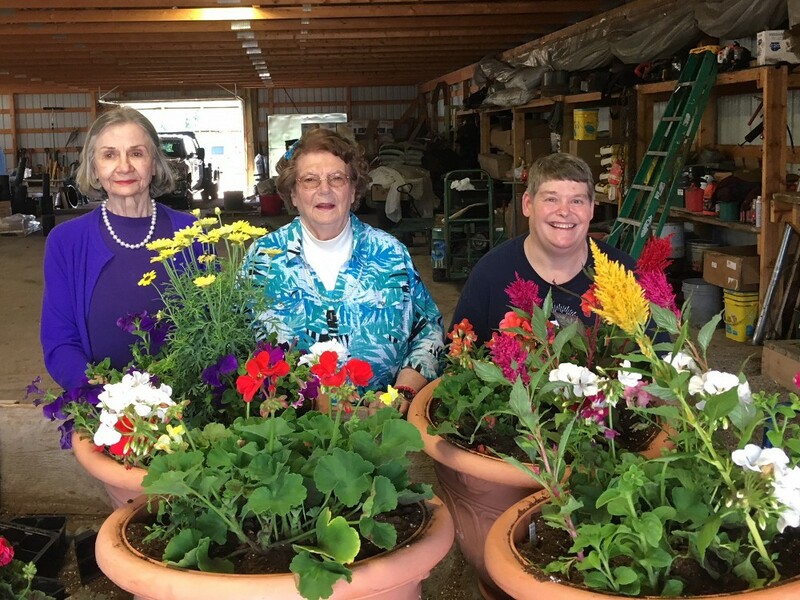 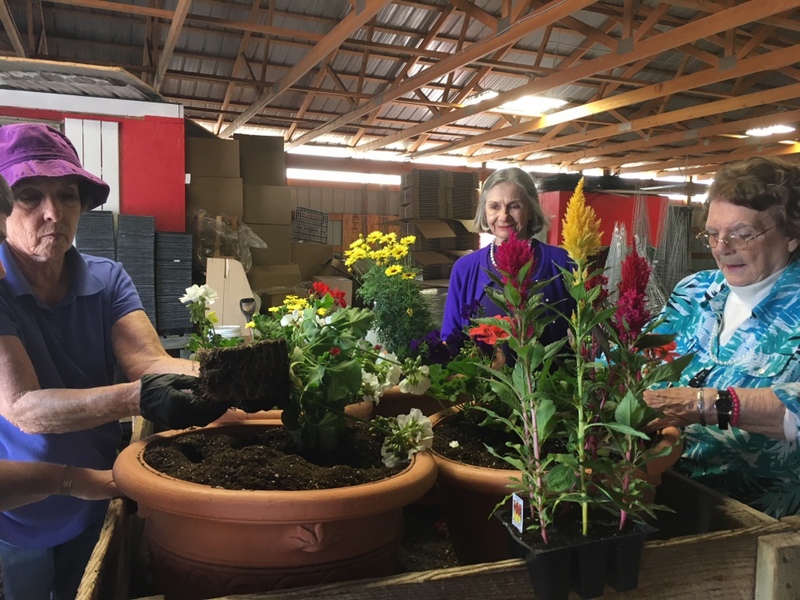 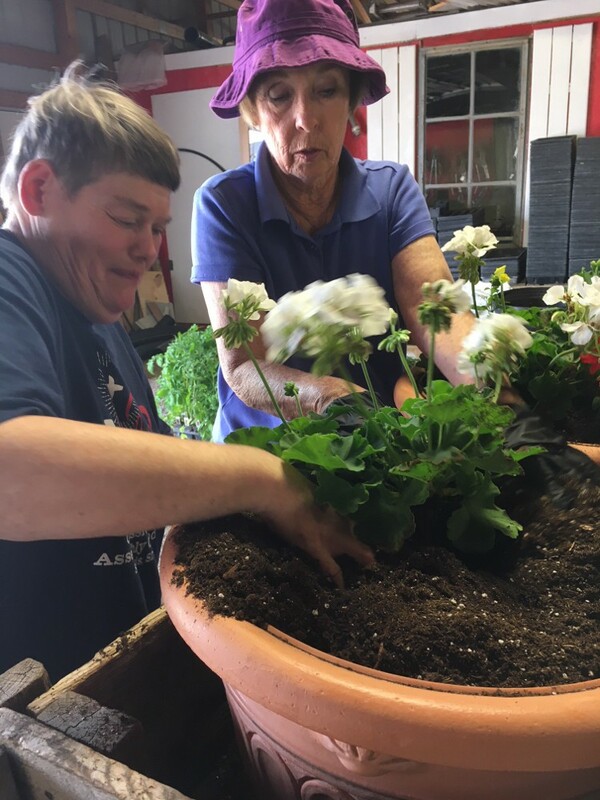 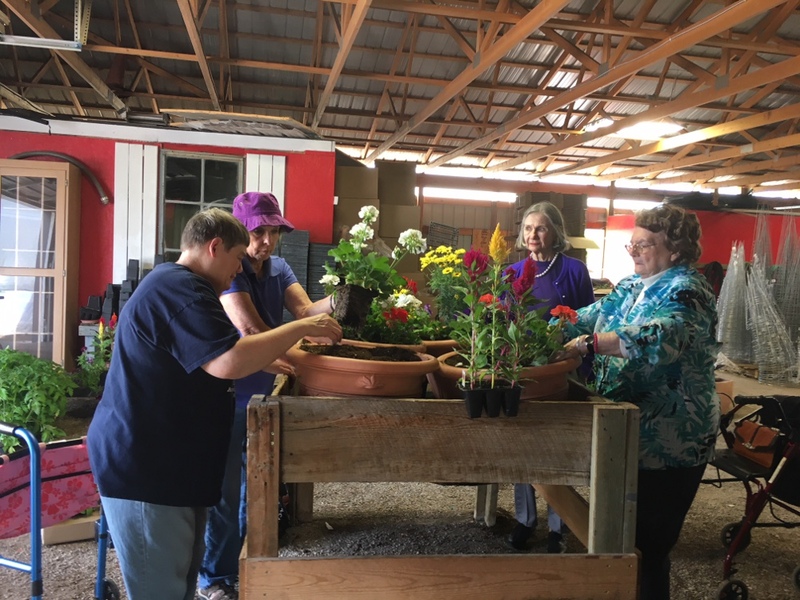 Sandstone Senior Living residents enjoyed our annual trip to Beck’s Nursery to plant our summer flowers. 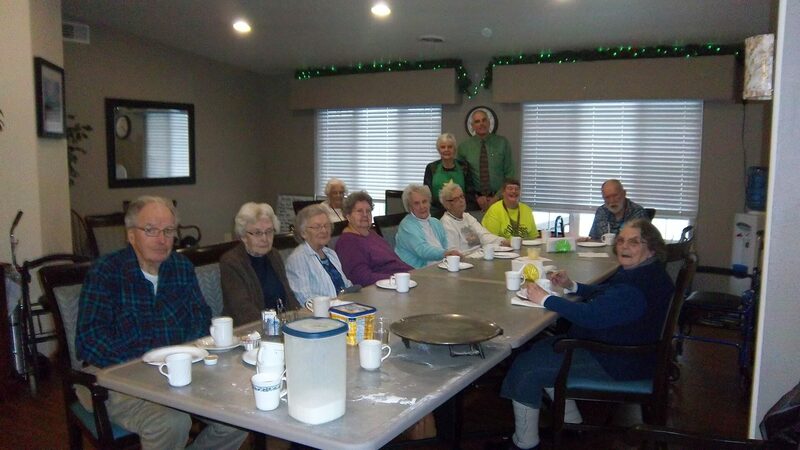 Thank you to Nicki and her staff for hosting our residents and helping make this a great outing! 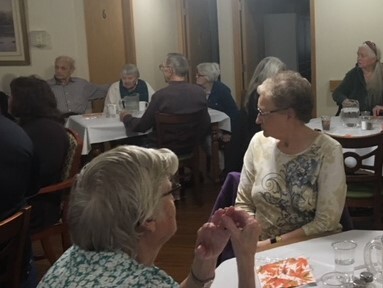 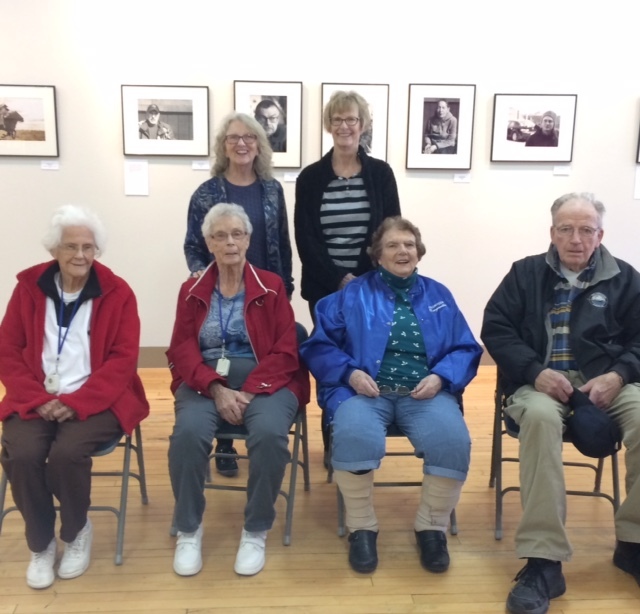 On Tuesday, April 10th residents from Sandstone Senior Living toured the Matthews Opera House Art Gallery to view the BHSU Senior Art Exhibit. 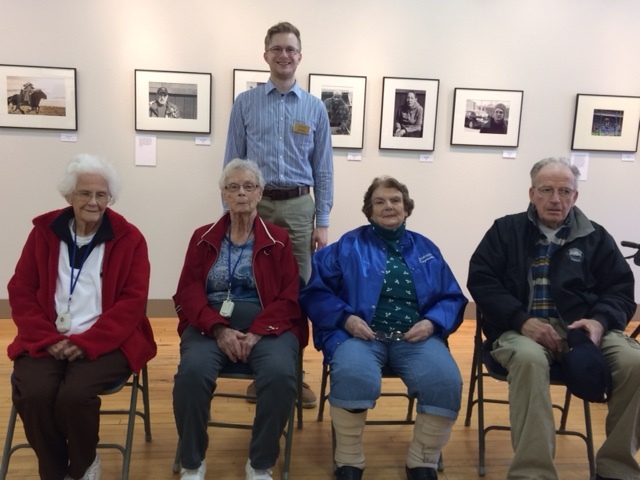 Also during their visit, residents learned about the history of the opera house and art gallery. 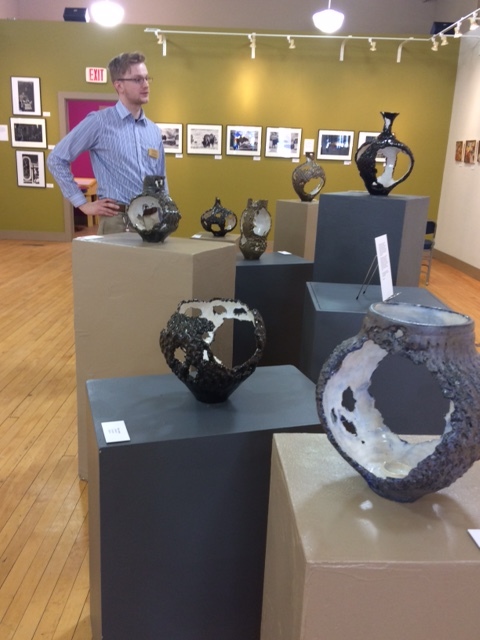 Thank you to the gallery and Kirk Hauck for their time and hospitality. 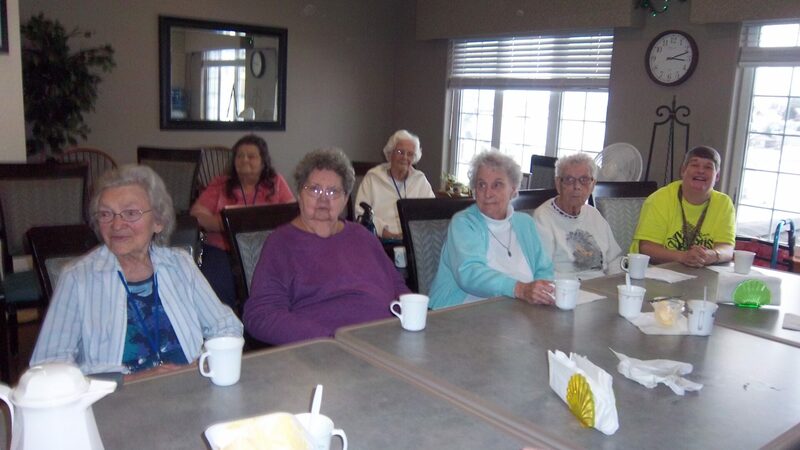 We can’t wait to visit again! 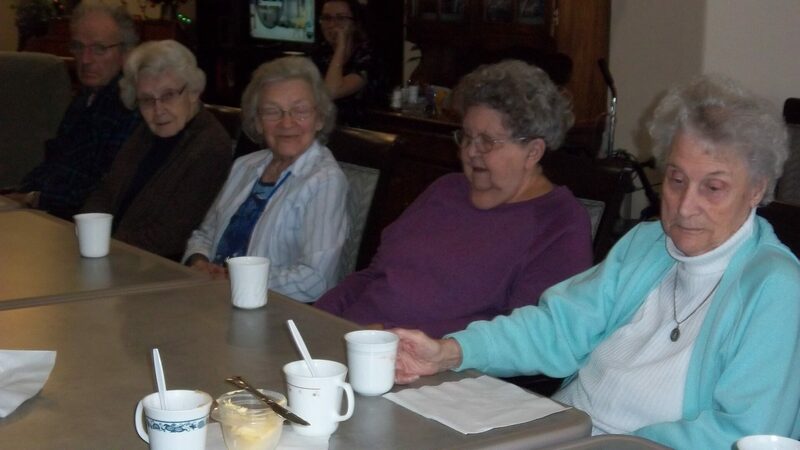 On the way home, residents stopped for a sweet treat at Dairy Queen. 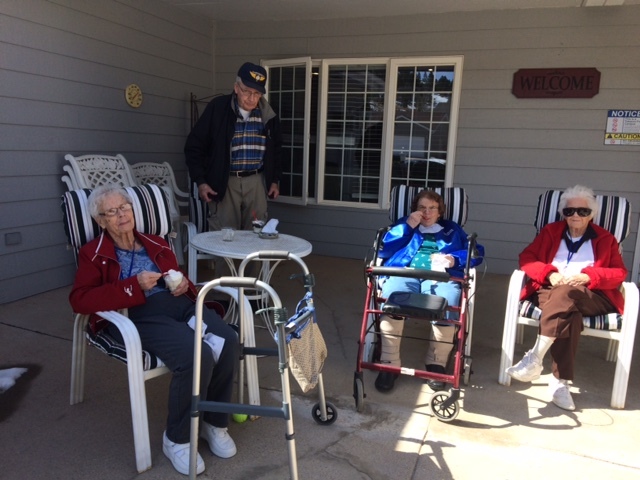 They enjoyed some sun with their ice cream treats. 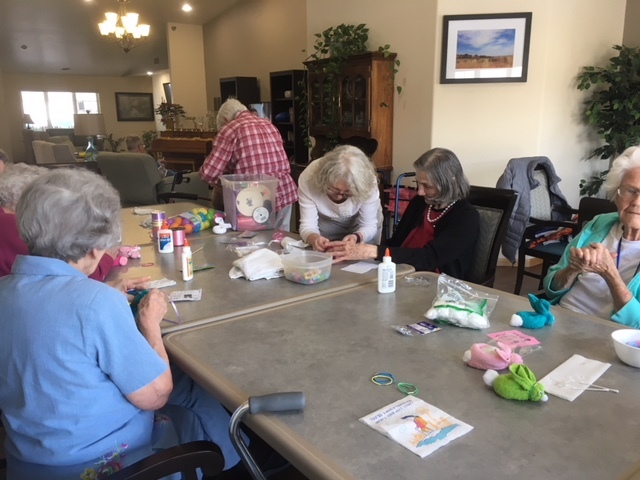 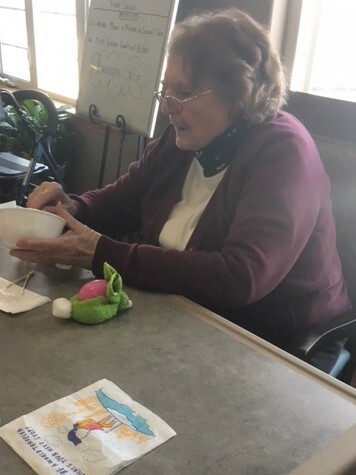 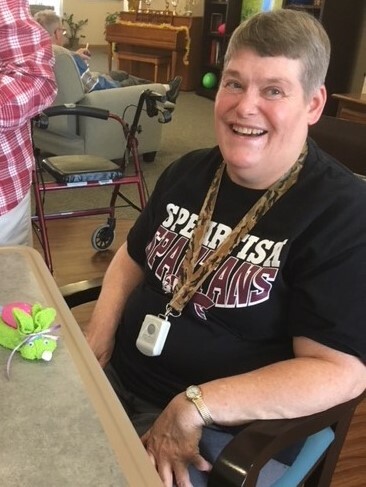 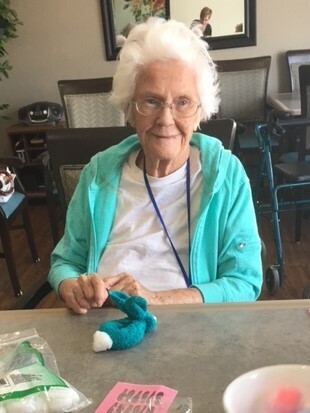 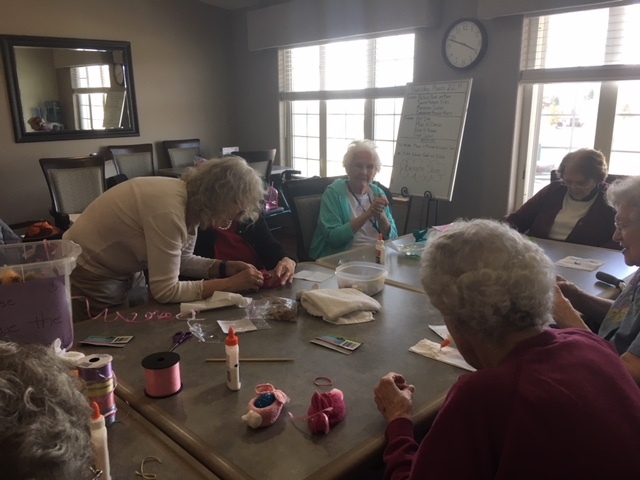 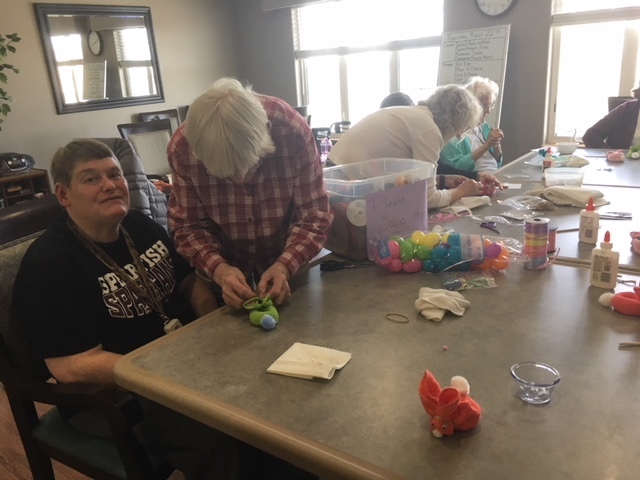 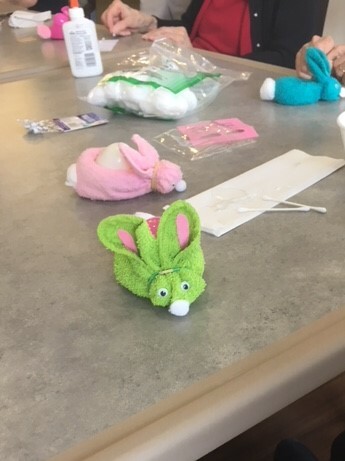 Our residents enjoyed making an Easter bunny craft with the help of our volunteer Elsie and Activities Coordinator Wendy. 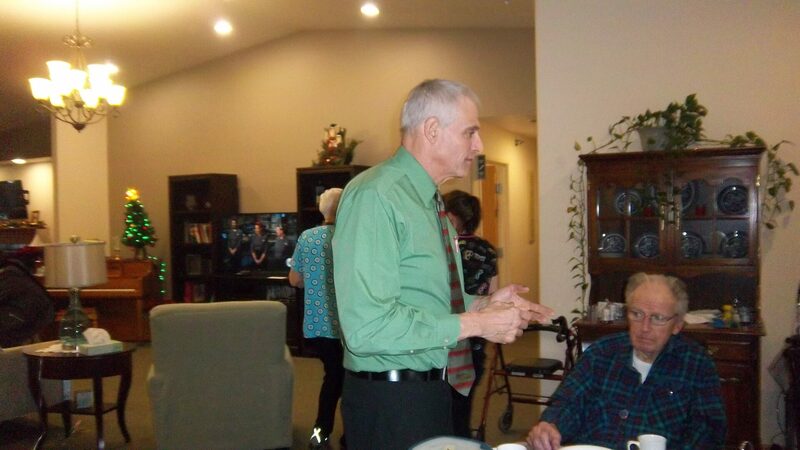 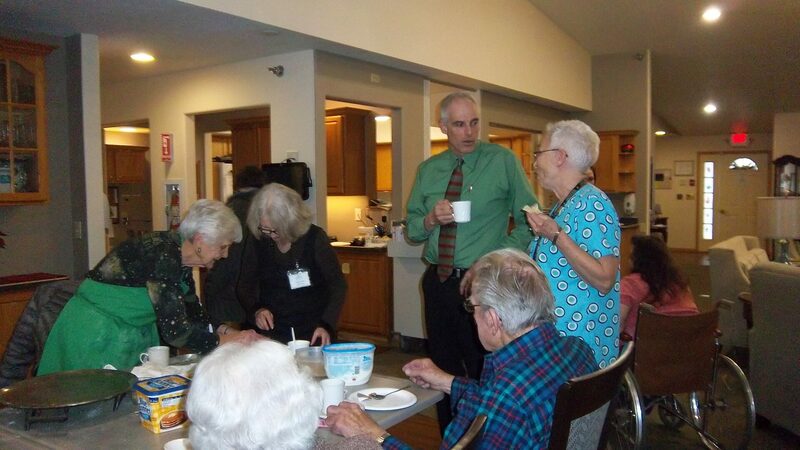 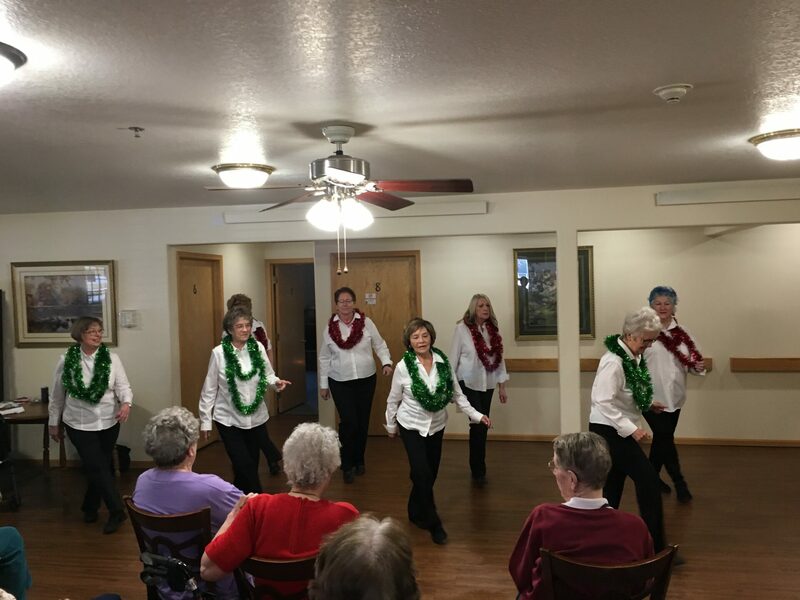 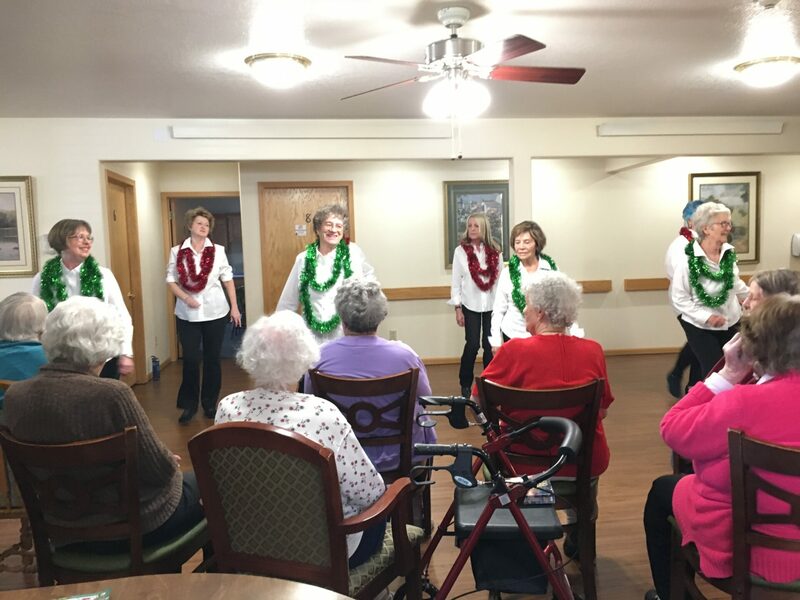 The Spearfish Line Dancers entertained our Residents December 19th then joined us for a pancake buffet lunch. 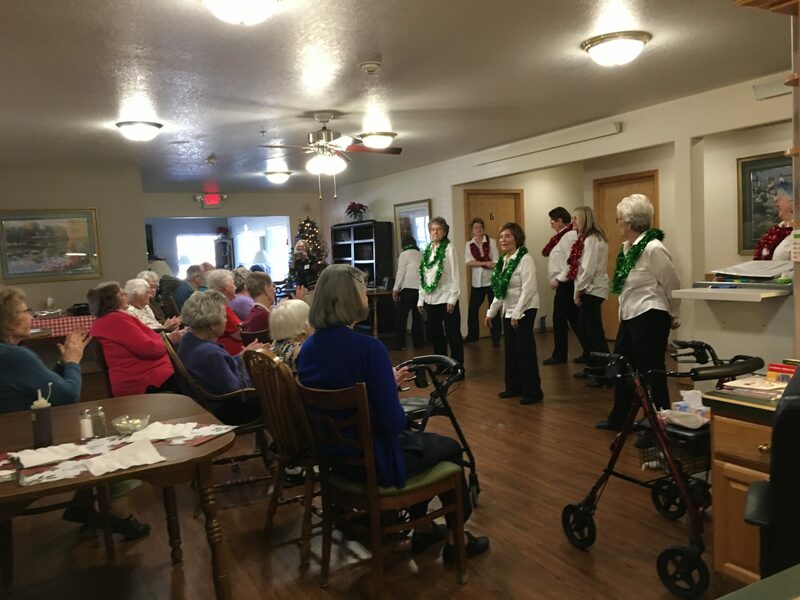 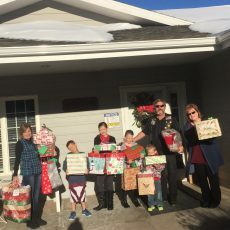 In December as part of the Forgotten Elderly Program, members of the STAR Touring and Riding Association Chapter 303 delivered personalized Christmas gifts to our residents at Sandstone Senior Living. 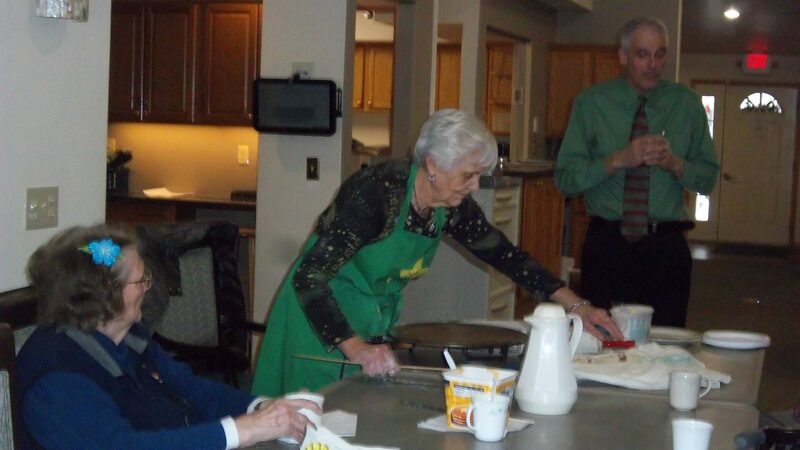 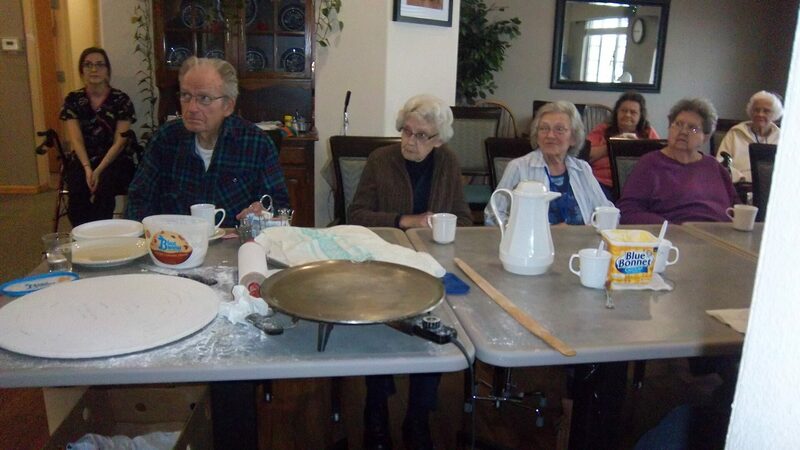 Residents enjoyed homemade lefsa while learning about Scandinavian and Norwegian Christmas traditions from Bob Haivala & Eileen Raforth.